Born in the town of Shogomac along the banks of the St. John’s River in New Brunswick, Canada, Guilford Graham Hartley moved to Brainerd, Minnesota, in 1871 at the age of eighteen. There he started his own logging business, taking on contracts for cutting and hauling logs. The cattle he used for winter hauling spent the summer breaking the prairie land he owned in what was then Dakota Territory. While in Brainerd he also served as a state representative and branched out into many additional businesses, including general contracting, hardware, and merchandise. In 1885, two years after they wed, Hartley and his wife Caroline (often called Carrie) came to Duluth following his appointment as registrar of the Duluth land office. He left the job within a year to manage the Duluth Street Railway Company, in which he had invested heavily. Hartley expanded his other business interests as well. He continued to invest in logging and branched out into real estate, wholesale foods and dry goods, shoe manufacturing, and more—Hartley had a hand in nearly every industry in Duluth. He and James J. Hill, Minnesota’s “Empire Builder,” each owned a major interest in the Duluth News Tribune—until Hartley bought out Hill. 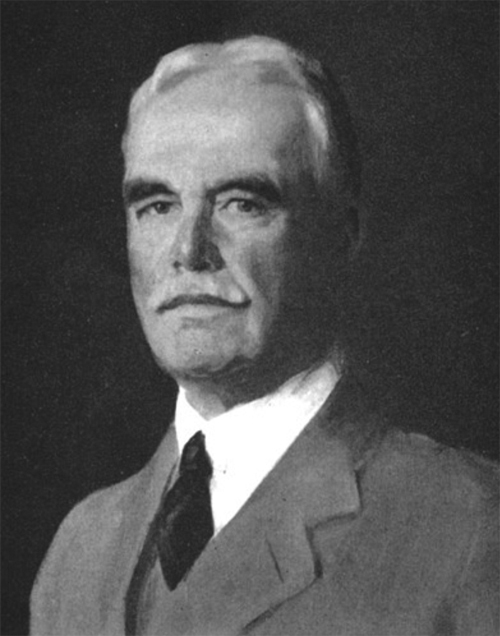 Along with his friend Chester Congdon and others, Hartley was instrumental in developing the western Mesabi Iron Range; their associate John Greenway developed a process that washed and concentrated the softer ore of the western Mesabi so it could be used to make steel. While undergoing this work Hartley platted the Iron Range towns of Bovey, Cass Lake, Sparta, Grand Rapids, and Nashwauk. In 1889 the Hartleys built a grand twenty-one-room Romanesque Revival mansion adjacent to Chester Creek at 1305 East Superior Street designed by Oliver Traphagen, Duluth’s premier architect from 1886 to 1896. 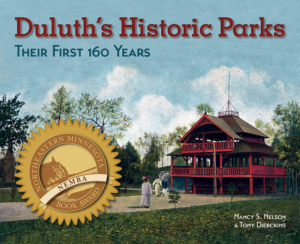 (Conveniently enough, the house stood at what was then the eastern end of the Duluth Street Railway Company’s Superior Street line.) The house is thought to have been the first in Duluth to be wired for electricity and its own telephone line. There the Hartleys raised five children. In 1914 their eldest daughter, Jessie, married Chester and Clara Congdon’s eldest son, Walter. Hartley’s efforts to sell the produce grown at his Allandale Farm in the Woodland area helped popularize celery throughout the nation. He also owned Island Farm, about eighty miles northwest of Duluth, where he raised prize-winning Guernsey cows. Meanwhile he developed his Dakota Territory property into Hartley Stock Farms of Page, North Dakota—another town platted by Hartley. The ranch raised Aberdeen-Angus hybrid cattle. Socially, Hartley helped establish the Northland Country Club and built Duluth’s 1910 Orpheum Theatre, the city’s premier vaudeville house. As a member of the Kitchi Gammi Club, he oversaw the construction of its 1912 headquarters at 831 East Superior Street, designed by renowned Neo-Gothic architect Bertram Goodhue. Hartley also hired Goodhue to design his office building, which stands at 740 East Superior Street, across the street from the Kitchi Gammi Club.